What is it about some vehicles that allow them to transcend common transportation needs and become iconic symbols of a way of life? Think about cars that were designed to meet a need or satisfy a mission; like the VW Beetle, the VW Bus, early Ford Broncos, and, of course, several Jeep models. There is something in the shapes, colors, sounds, and even the little quirks that make them unique. The Wagoneer, designed by Brooks Stevens for Kaiser Jeep, was launched in 1962 for the 1963 model year. Its mission: compete with the American Big Three by defining a new market segment, the luxury sport utility vehicle (SUV). The years from 1963 to 1991 proved to be, for the Wagoneer, the third longest production run of any single-generation car. They remained largely unchanged for 29 years. Unfortunately, we can’t purchase new Wagoneers anymore. But what if one could get a well-cared-for, low-mileage version that is even better than the original? The world goes to one place recognized to deliver the Wagoneer experience without all the little technical hassles inherent in the originals. Welcome to Kerrville, Texas and Wagonmaster. Most people haven’t heard of Kerrville. It’s a place nestled in the heart of Texas hill country where several brands have been launched and continue to this day — Mooney Aircraft, James Avery Artisan Jewelry, and the H.E.B. grocery store chain all started there. It was in 1993 that Leon "Chip" Miller’s dad, Leon senior, decided to retire and move to Kerrville. Lots of people retire to Kerrville, but Chip’s father wanted to retire in style with a brand new, fully decked-out Jeep Wagoneer. This was a problem, though, because as mentioned earlier Jeep had stopped Wagoneer production in 1991. It was the most popular SUV in history, up to that point, and that popularity has continued well after its production. So, Leon senior decided to find a low-mileage pre-owned Wagoneer for himself as a daily driver. The one he found really caught the attention of everyone he ran into. Wherever he went, he was asked about his car and if there was a place others could buy one. 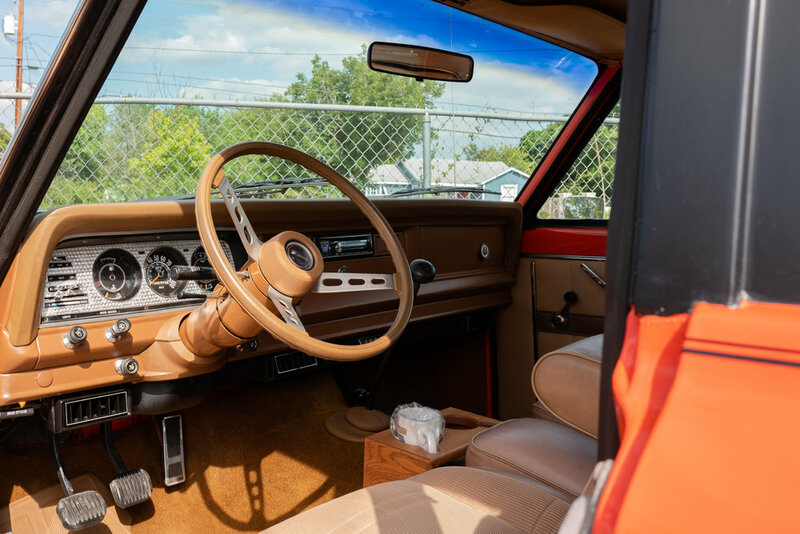 He saw a need and decided to create the world’s go-to place for excellent pre-owned Wagoneers, right there in Kerrville. Once Wagonmaster opened, Leon senior found that a big part of his new market was very close to his new home. 8 out of 10 new Wagonmaster Wagoneers went to people in the surrounding areas, like Fredericksburg, Texas, a little German-settled village 20 minutes north of Kerrville. Realtors, especially those involved in farm and ranch real estate, love the Wagoneer due to its luxury, smoothness, classic style, and rugged all-terrain abilities. It’s a true 4x4 that keeps its occupants happy and comfortable. "I am a trader, I love to buy and sell, that's my joy”, Chip says. He goes on, "I like to be out moving around and seeing people. But I have also put in the time it takes to know the fine details of the business." Regarding his customers, Miller explains, “my owners want to get in their vehicle, start it up and run it without any issues. When we made the decision to change all of our Wagoneers to fuel injection, we solved many of those issues." When you purchase a Wagonmaster Wagoneer, you become part of the Wagonmaster family. And that means that Chip can buy back your vehicle if desired. Typically, if you see a vehicle on the Wagonmaster lot with more than 70K on the odometer, it’s been a Wagonmaster restoration previously sold. Once pricing is determined, Chip will pick up the vehicle and prepare it for resale. The business is tailored to the upper end of the market. Wagonmaster’s core market isn’t compelled by low pricing. They want the best and they’re ready to pay for the best. And since the values in this market are continually increasing, Chip is usually ready to pay more to buy back a vehicle that he sold originally. 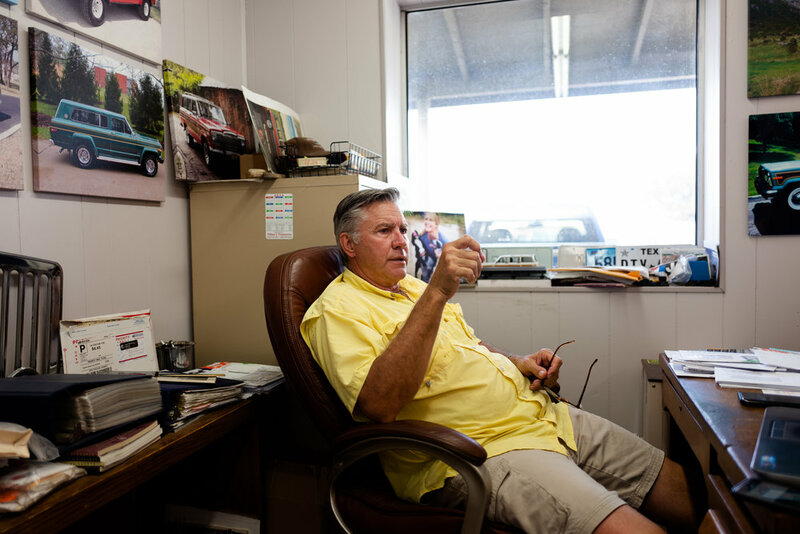 Chip’s dad never wanted to get into the straight restoration business — meaning he only wanted to buy and sell Wagonmaster restorations, rather than restoring other people’s cars. However, Chip sees it differently, "As long as the pricing is right and they’re not negatively impacting the core business, I am happy restoring others’ cars."